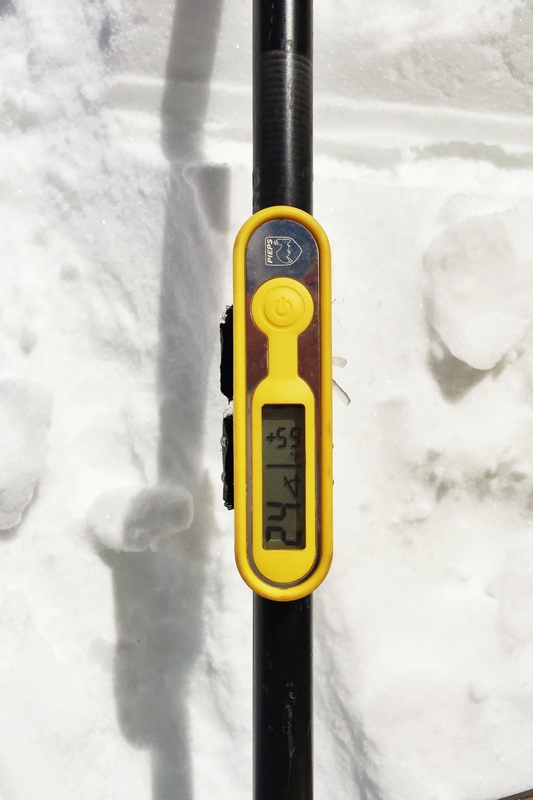 After a few weeks of being overly-excited about snow and forgetting our responsibilities, we finally set out on Sunday with the specific purpose of testing out the PoleClinometer and comparing it to some of the more popular inclinometers on the market. 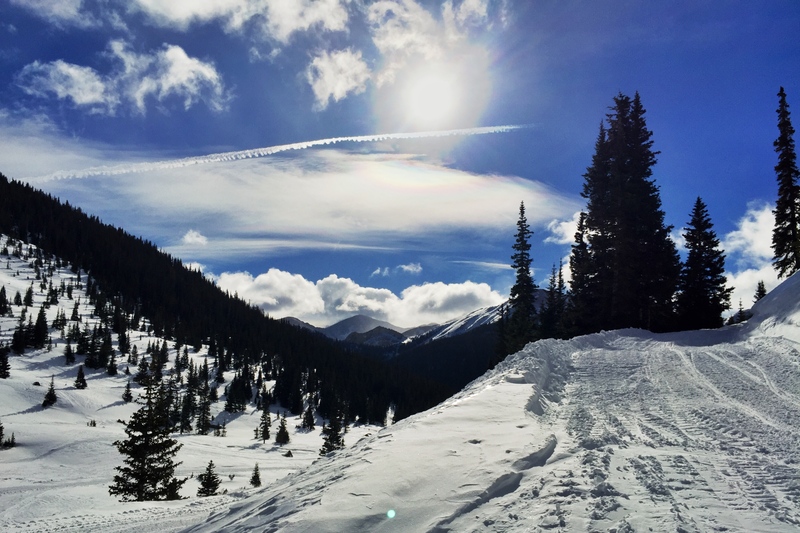 That’s not to say we didn’t get in some epic turns as well, but we’ll get to those in another post. It was a beautiful day both for playing with gear and using it to shred. Our mission was to see how well the PoleClinometer performed. In order to do that, we needed a baseline, so we brought along a Pieps 30°PLUS Digital Inclinometer and a BCA Slope Meter. We set out looking for a good slope to measure and found one pretty quickly. For each of our tests, we used the PoleClinometer first so we didn’t taint our reading of the scale lines by already having numbers in our heads. Read off the line that appears flat as you look down the slope. Next, we pulled out the Pieps, which lives on Sean’s pole, and took a reading. The Pieps straps on using two stretchy straps. We’ve seen no signs that it’s anything but secure. It operates from -20°C to +45°C; -4°F to +113°F and weighs 30g, including the battery. The device is not user serviceable, so you can’t replace the battery, but Pieps estimates that it will last five years. Pieps measured the slope at 24°. That’s spot on with our PoleClinometer reading. 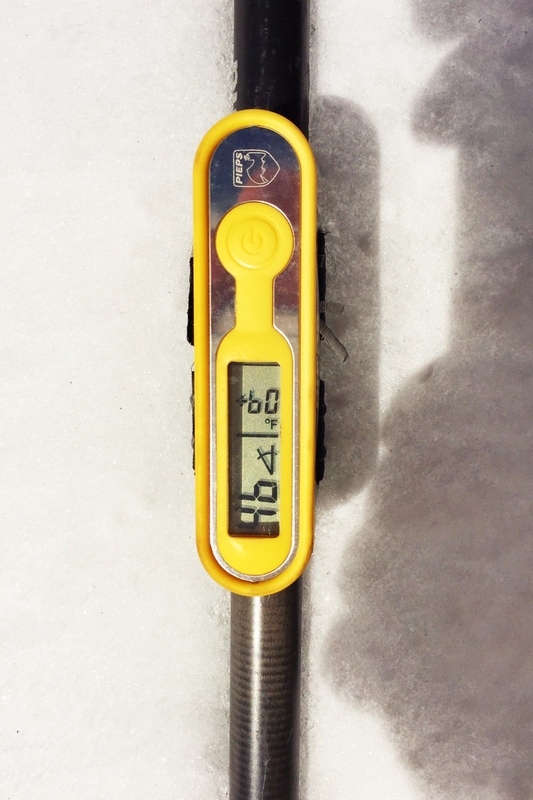 The BCA Slope Meter Measured somewhere slightly north of 27°. 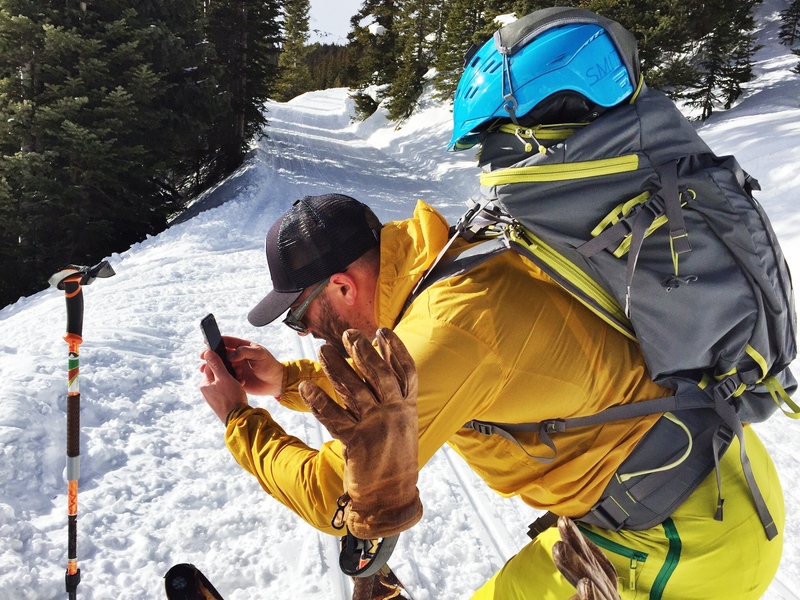 While we were surprised that the BCA measured high, it did explain some trends Sean had been seeing that kept him off of some slopes that were probably safe. He had been thinking that everything was steeper than it actually was. We can’t be sure that all BCA Slope Meters read high or that it was just this one. Regardless, we eliminated the BCA from the comparison. Next, we tested the PoleClinometer cross-slope reading against the Pieps. First, with the PoleClinometer, the slope lines up right on the 45° line. Our measurement with the Pieps was right in line. 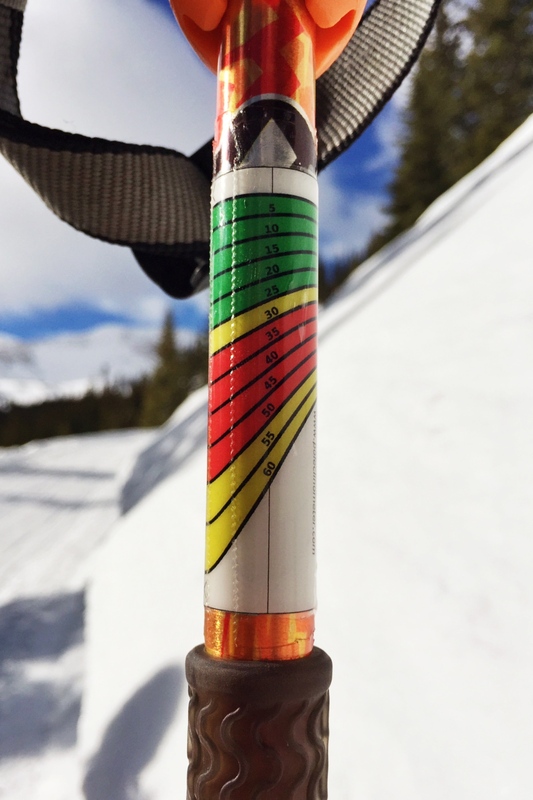 Based on our comparison of the PoleClinometer in both down-slope and cross-slope readings, we trust it completely. It’s simple to use and provides accurate estimates of slope angle. 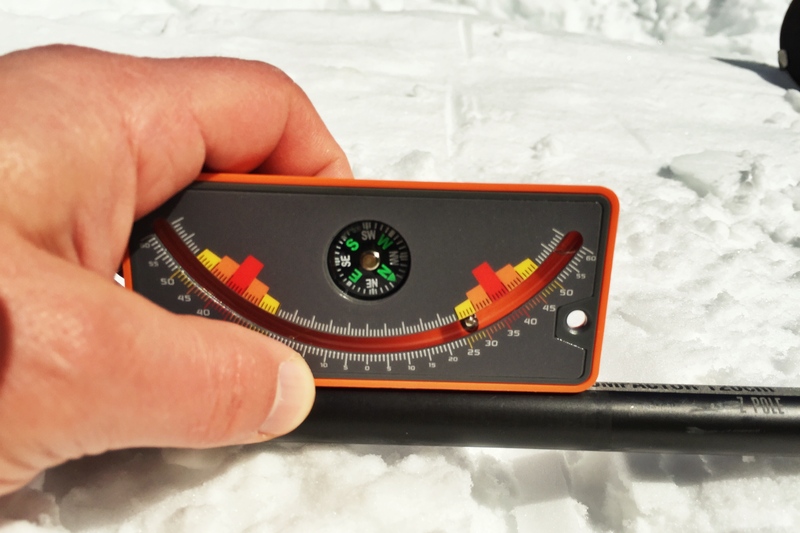 We think the PoleClinometer is an essential tool for backcountry travel. It weighs almost nothing. It’s easy to install and use properly. It’s inexpensive. It’s always available. It doesn’t have operating temperature limits (like the Pieps) or run out of batteries (like the Pieps). It can’t break. 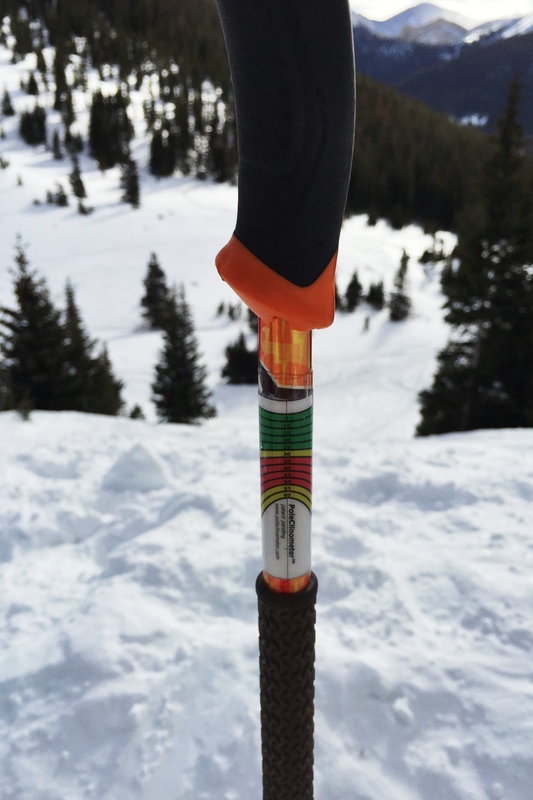 The PoleClinometer should come on every single backcountry ski pole.